Get some advanced pro tricks and round out your fundamentals with an eBook aimed at modern guitar players on the internet looking to learn country guitar! Download instantly! A lot of guitar books are dry, boring, recycled info from the 1900’s written by someone that learned guitar before the internet existed. 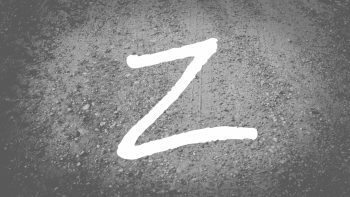 This is a fresh take that’s geared toward players like you. Build Your Country Guitar Style! 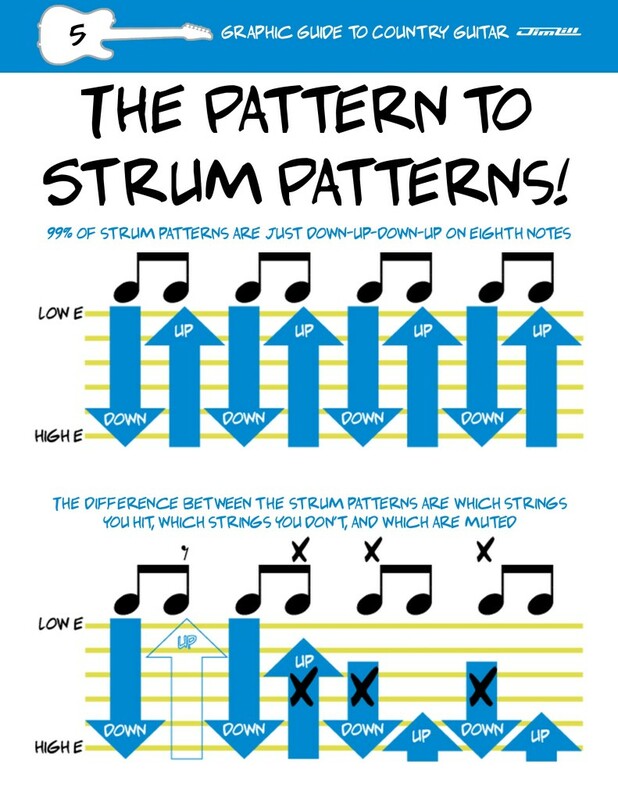 Inside there are 30 pages of illustrated tips for improving yourself as a guitarist and a musician. All of them are applicable and relevant, and can be put into practice right away. The book is split into three topics; Knowledge, Gear, and Choices. Each is interconnected with technique and style. 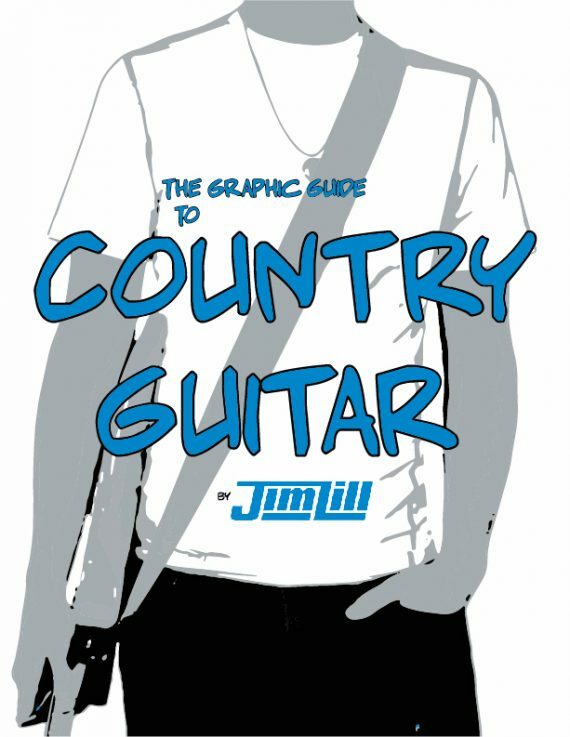 Country guitar is one of the most rewarding and fun styles of guitar to play, and this book helps get you over any barriers you might have. Make the decision to become the best musician you can be and let this book help guide you along the way! 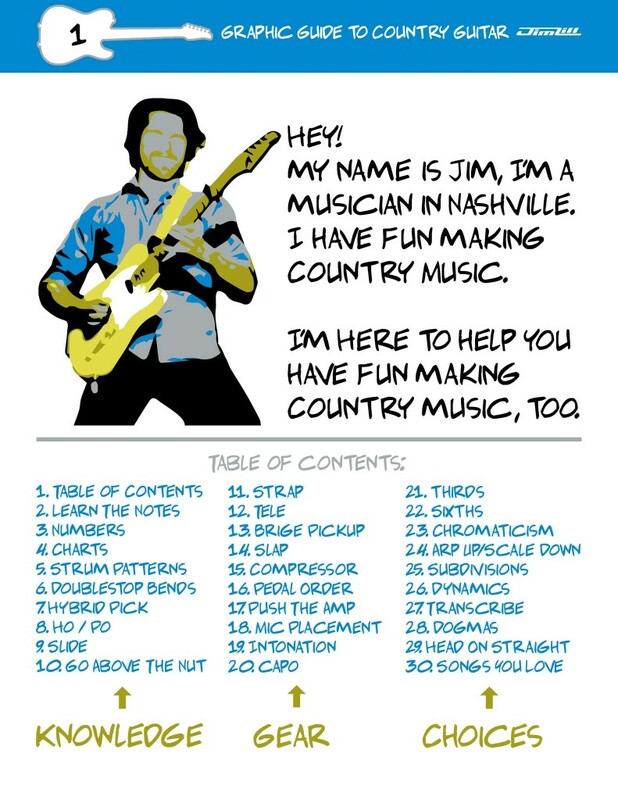 And if you have a thirst for more country guitar lessons and performances, check out Jim’s YouTube channel!